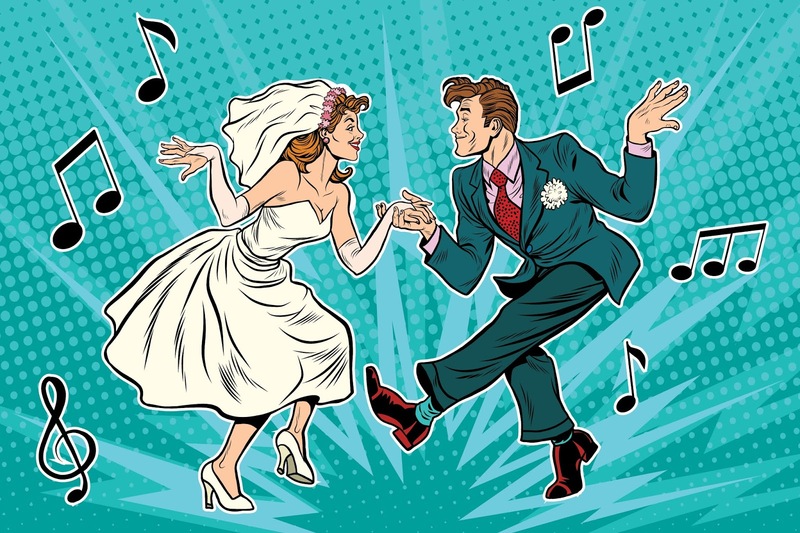 Would you like your wedding dance to be full of energy? If, so jive is perfect for you. We can teach you a whole routine or just some 'cool moves' you can put together yourself. We can also teach a fun jive class at your reception, which is a great ice breaker and a fun way for all your guests to meet each other. And don't forget your hen night, why not book us to come along and teach some fun charleston to get your evening or weekend started with a vintage bang!